I’ve always been a bbq fan, but it’s taken my husband a lot longer to warm to the idea of bbq. When I first met him, he wasn’t even a fan of ribs, so the idea of suggesting that we eat at a bbq restaurant was generally turned down. However, he soon discovered that ribs were actually a good thing, and that combined with his enjoyment of brisket meant that he wasn’t so quick to turn down my suggestion to eat bbq. 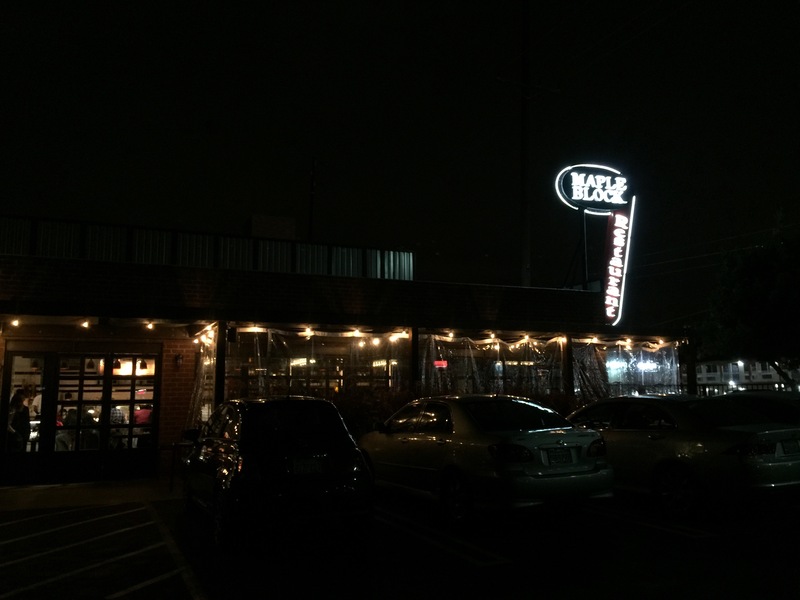 Recently, my husband was reading the hot list of new restaurants in our area and one particular restaurant caught his interest, a new bbq joint located within driving distance of where we lived. After taking a look at their menu, he told me we had to give it a try, so we made reservations for dinner that night. 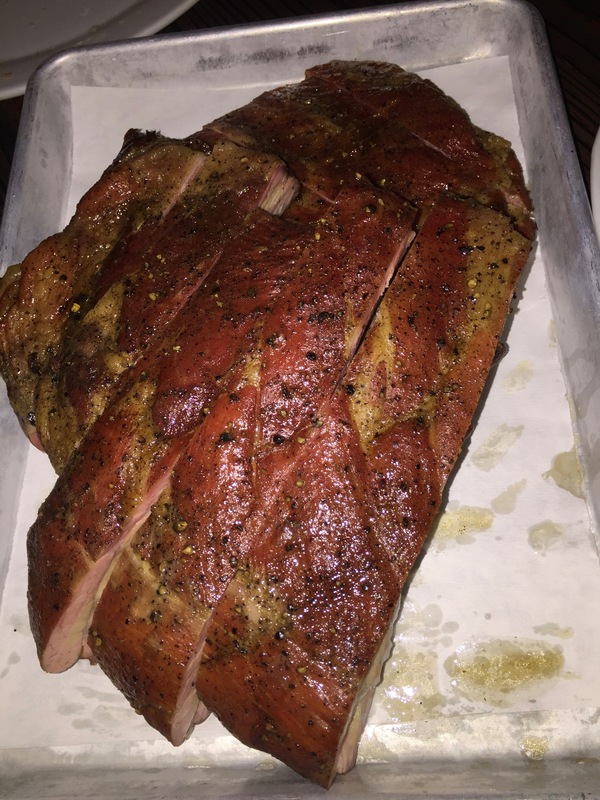 Maple Block Meat Co. located in Culver City is a bbq joint that specializes in wood-smoked meats served up in a casual restaurant and bar setting. Using classic American bbq techniques, Maple Block smokes their meats in a wood smoker located out in the parking lot. The smoked meats are then hand-cut and butchered inside the store as ordered. The food served is good old American bbq and classic bbq fixings along with a bar that serves inventive hand crafted drinks and homemade sodas. The restaurant itself features a full service bar, indoor and outdoor seating and counter seating. If you sit at the counter, you can watch as the chef’s cut up the ribs, brisket and other smoked meats to assemble plates and trays as they’re ordered. It’s like getting to watch a bbq show. There’s even a large mirror behind the counter so that those sitting in the dining room can also watch as the chef cuts up and serves up the tasty meat. 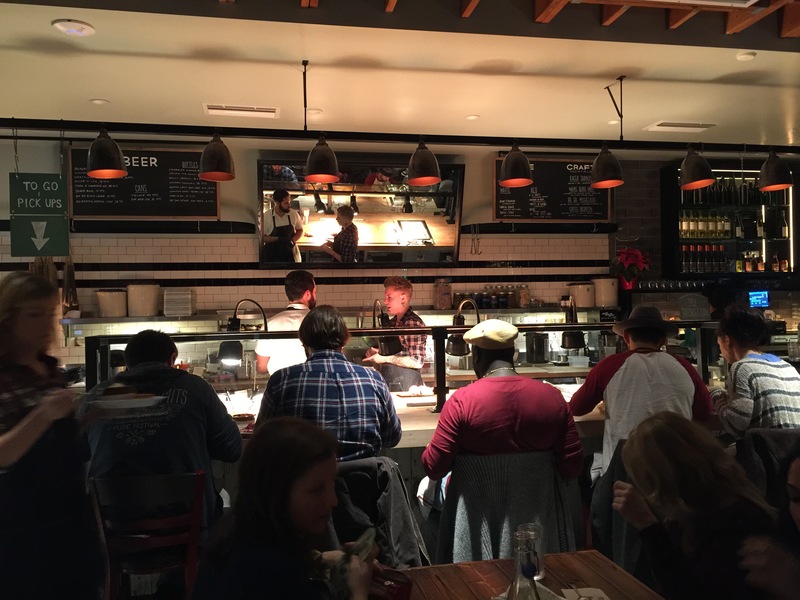 It was pretty crowded on Saturday night when we arrived at Maple Block Meat Co. and we were lucky we had made reservations in advance, or else we wouldn’t have been able to get a seat. We decided to start our night off with some drinks. I ordered a fresh homemade lemonade. It was completely cool and refreshing with a good balance of lemon citrus tang and sweet syrup. 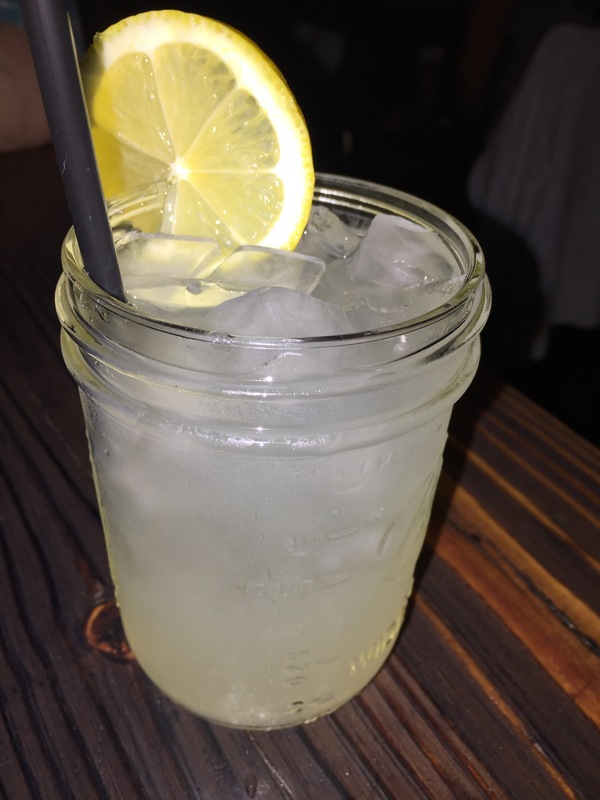 The lemonade was probably a little more watered down than I liked so the flavor was somewhat subdued, but it wasn’t overly sweet as sometimes homemade lemonade tends to be. Served in a mason jar, it felt like I had walked into a neighborhood bbq joint. As their handcrafted cocktails were quite popular, my husband decided to order the Maple Block Mule made with ale, ginger beer, fresh lime and housemade ginger syrup. Served with a wedge of lemon and a candid ginger slice the drink also came in a mason jar. 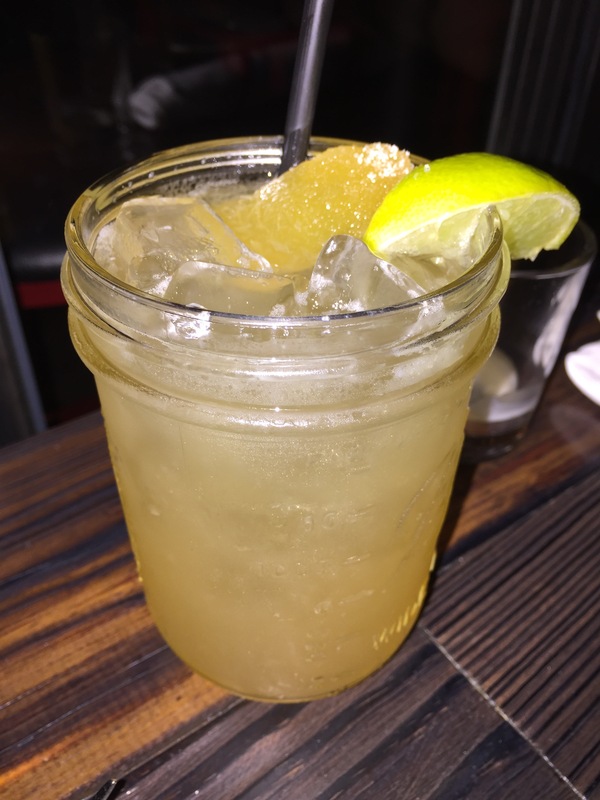 For my husband, he thought that the Maple Block Mule was nothing special and he was somewhat disappointed after it was advertised that their drinks were supposed to be really good. Unfortunately, the drink just didn’t have enough ginger flavor, enough punch to it. Sadly, my husband and I both found our drinks just to be slightly lacking from what we had expected them to be. 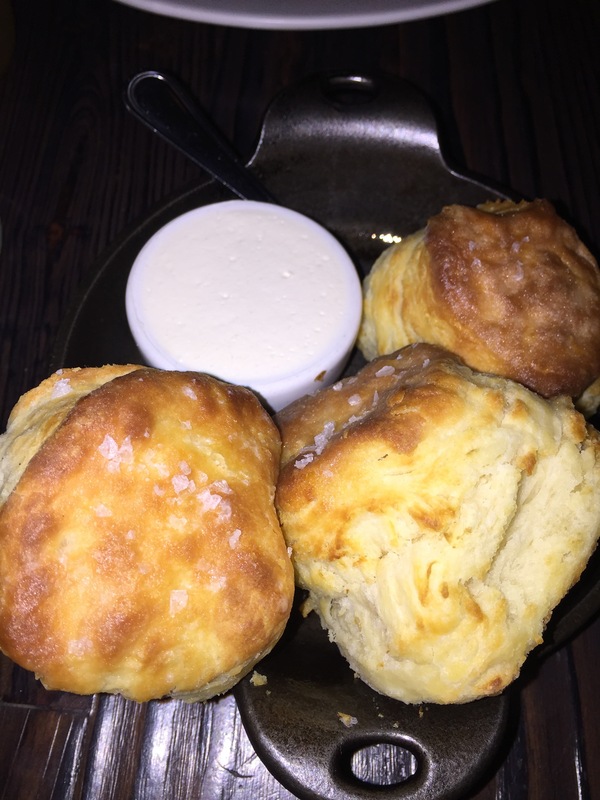 To start our meal, we decided to get an order of buttermilk biscuits served up with whipped honey butter. The biscuits were hot on the inside and flaky on the outside. Perfectly baked, they still had a bit of crunch on the crust. The whipped honey butter was fantastic and a perfectly compliment of flavors to the buttermilk biscuits. This biscuits were so filling I could have chowed down on so many more if I wasn’t afraid of being full before the meal actually arrived. I was ready to get this bbq meal started. One of the main things we wanted to come to Maple Block for was their brisket. They have a reputation for having some amazing brisket and that is my husband’s favorite cut of meat. My husband was so looking forward to enjoying some brisket that he put a note in our reservation that they better not run out of brisket before we arrived. Sadly, when we were seated at our table, our waitress informed us that they had run out of brisket for the night. We were so disappointed. She did, however, tell us that we could order the “Texas style” brisket chili which was made with the same brisket that they serve as an entree, just inside the chili. Since we really wanted to try the brisket, we decided to get an order of the chili to sample. Served with white cheddar and sour cream with cornbread on the side, this chili was actually quite large – enough for the both of us to share. The brisket chili was phenomenal. There was big chunks of brisket in the chili and the brisket was full-bodied and full of flavor. We could tell from the brisket chunks just how amazing the brisket here at Maple Block must be, and we were even more disappointed that we didn’t get to try any of the brisket. The chili itself was a bit on the spicy side. There was a lingering heat from the chili that just warmed everything up. The chili was hearty and full of flavor and definitely a recommendation for anyone who likes chili and who likes brisket. Since we were unable to order brisket we decided to try two other kinds of smoked meats. First up with the smoked pork belly finished over a wood grill and served with peach mustard, grilled apples and pickled red cabbage. Surprisingly, the item on the plate that I thought I would like the least, the grilled apples, turned out to be one of the best items on the plate. The grill brought out the sweetness in the apples, but they weren’t so overcooked that they lost their crunch, so the texture contrast with the crunchy apple slices and the tender and fatty pork belly was fantastic. The pork belly itself was terrific with a good mixture of fat and meat. It wasn’t overly fatty where the oiliness gets to you, rather the fat added juiciness and moisture to the meat. The meat of the pork belly tasted nice and smoky and the little bit of char flavor from being finished on the wood grill as perfect. The peach mustard was too sweet for me and I though it made the pork belly, which already had a hint of sweetness itself, just overly sweet to create a flavor profile that just wasn’t pleasant. The pickled red cabbage was just overkill, and for me the pickled flavors of the cabbage just didn’t match with the sweetness of the peach mustard. 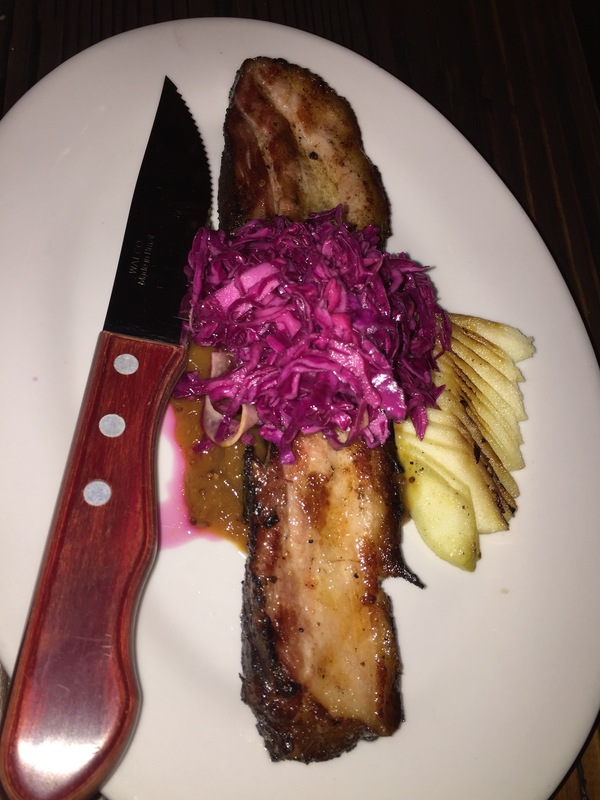 It just seemed like the pickled cabbage clashed with other flavors on the plate and just detracted from how delicious the pork belly was. We also decided to order a full rack of smoked pork spare ribs. Admittedly, we could have done with just a half rack, and had we known how filling the buttermilk biscuits and the brisket chili was going to be, we probably would have only ordered a half rack. These pork spare ribs were huge, and a full rack ended up being about 10 ribs in total. The ribs had a terrific smoke flavor to them imparted from hours of wood smoking. The dry rub that is applied to the spare ribs before smoking really do impart a terrific smoky flavor that leaves the ribs incredibly tender. There are homemade dipping sauces that are served as an accompaniment to the meat should you find the meat too dry on its own. 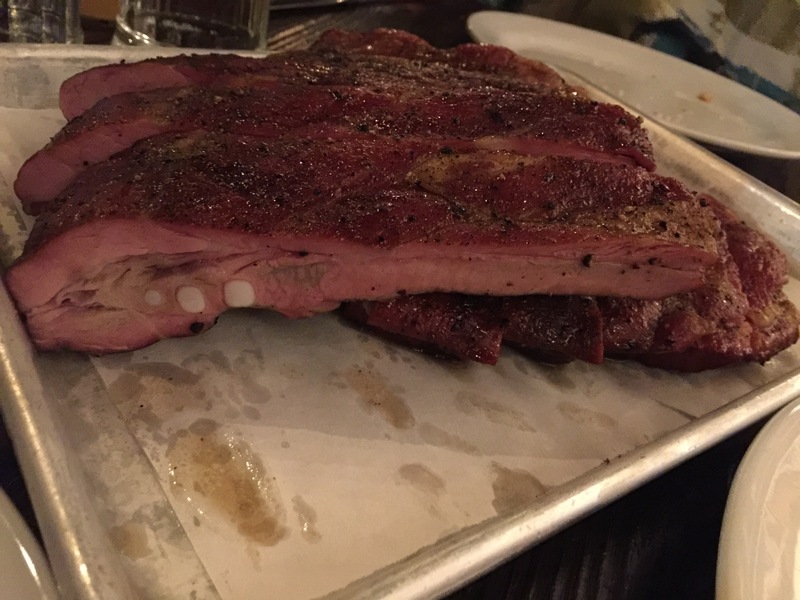 It was amazing how tender the ribs were, they literally fell right off the bone, which sometimes with larger ribs, you don’t find at other bbq joints. I liked not having to gnaw the meat off the bones, it made it a lot easier and a lot more enjoyable to eat. The spare ribs, while tender and flavorful, weren’t necessarily my favorite bbq joint find. I’ve had more flavorful, better meats at other bbq joints and had there been brisket available the night we dined at Maple Block, we wouldn’t have even ordered the spare ribs, so by the time the ribs arrived to the table, we were already quite let down that we wouldn’t be dining on the one thing that Maple Block served that we really wanted to try. Even though we were so full from dinner, we had to give their dessert a try because it saw banana listed and I just couldn’t pass it up. We ordered the banana pudding with peanut butter and bacon. I am not a big fan of having salty and sweet desserts as I want my desserts to strictly be sweet, so I wasn’t quite sure how this banana pudding would be but my husband said he’d share the dessert with me and finish it off if I didn’t like it. Truth be told, the banana pudding itself was fine, the bacon wasn’t my favorite. I did enjoy the addition of the peanut butter to the banana pudding as they are flavor combinations that do go together. Something as simple as adding peanut butter really does add a new dimension of flavor to the banana pudding, and it also helps to slightly change the texture of the banana pudding by making it slightly creamier. 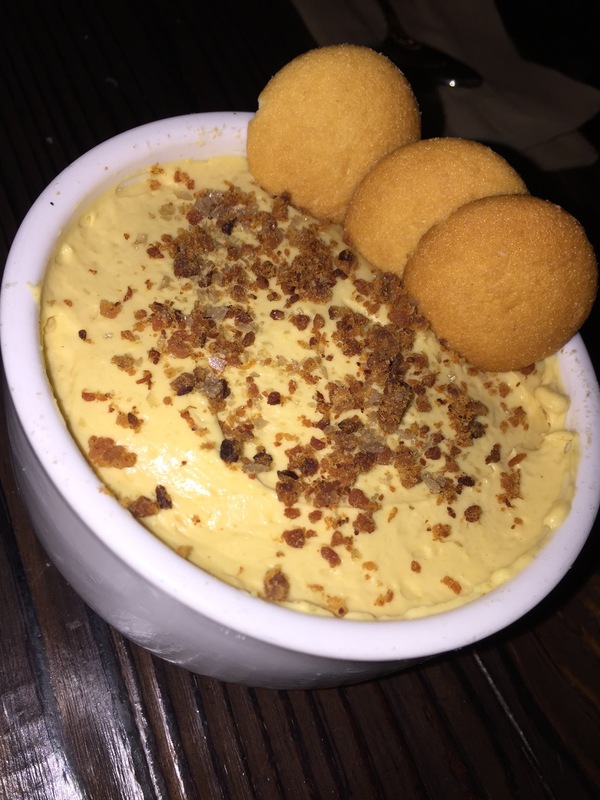 The peanut butter flavor shines through in banana pudding, and the traditional addition of the nilla wafers is a nice touch. However, for me, the addition of the bacon bits that are sprinkled over the top of the banana pudding was too much. I didn’t like the flavor of the salty bacon and the crunch that it added to the banana pudding, I would have much preferred a traditional banana pudding dessert. By the time we walked out of Maple Block Meat Co. we were so taken by their brisket and so disappointed that we only had the brisket in the chili and didn’t actually get any brisket that within a few weeks we actually ordered take out from Maple Block and all we got was brisket. In fact, we ordered 2 pounds of brisket, one pound of lean brisket and one pound of fatty brisket. This was the first time that my husband and I had seen a bbq joint that actually offered both cuts of brisket and gave customers the choice which cut of brisket they wanted to enjoy. 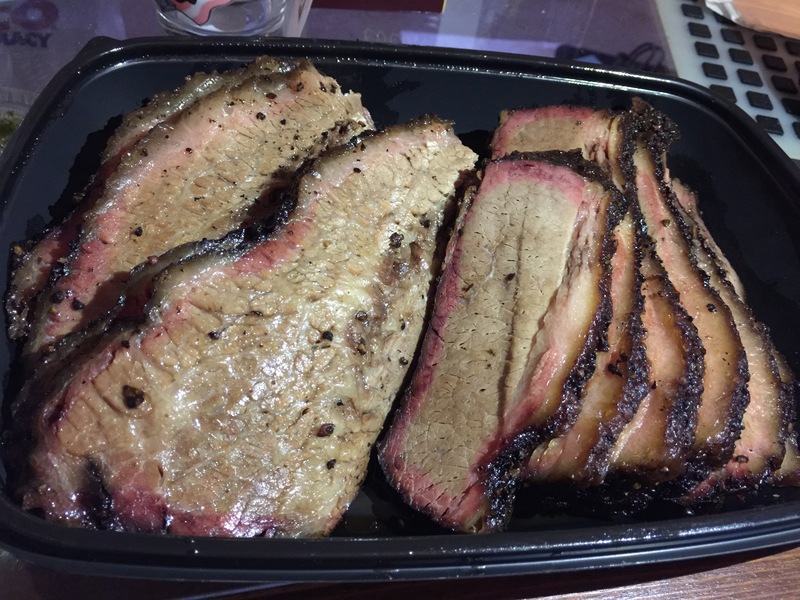 It was very obvious which was the fatty brisket (left in photo) and the lean brisket (right in photo), and there was an obvious difference in flavor too. Both cuts of brisket were amazing, the fatty was juicy and rich and definitely fatty. The lean cut was incredibly smoky and just as flavorful. We actually enjoyed just stopping by and picking up brisket that we’ve actually done it a couple of times now. Maple Block Meat Co. has definitely become our go-to spot when we’re in the mood for good bbq in Los Angeles. As advertised, their brisket is amazing, delicious and smoky as it should be. 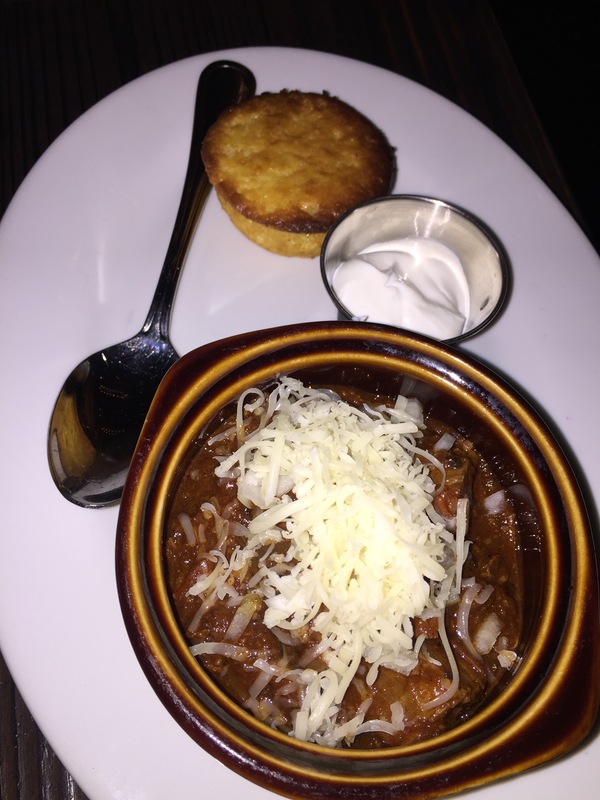 Their brisket chili is also quite delicious and flavorful. It can be busy at the restaurant, so trying to dine there without a reservation at night might not be a good idea, but having the option to just pick up take out bbq is a good alternative. It’s always hard to find a place to does brisket well and Maple Block not only does it well, but offers two different cuts of brisket. In my husband’s book, you just can’t beat that.